I can’t even explain to you how much I adored this book, but I’m going to damn well try. Shirin is a teenage girl in America just after 9/11, and she is Muslim. I cannot even tell you how much I adored this concept. So often, YA is too focused on a romance, friendship, family, dystopia or fantasy world. Never, is religion the focus. And I absolutely loved that this book centered more than anything else around Muslim culture. I may not have experienced this kind of discrimination first hand, but I have friends who have suffered because of their religion. I’ve listened to their stories, and every time, they break my heart into tiny little pieces. I love how raw this book is. The events were so emotional and sad, but hit home so much for me. I cannot even begin to express how important this book is. This is so different to anything I’ve read in YA, and frankly, it’s about time that a Muslim teen gets to tell her story. In fact, we are way past that time. This should be normal, this should happen every day. But unfortunately, we still live in a world that experiences events just as Shirin does in this book. But stories like these, words like these? They’re the most amazing kind of start. I loved Shirin in every way. She was such a well-rounded and well-developed character, and I loved the conversations she has with her brother, her teachers, her friends, her family. Everyone is included in this book and it was done so well. Ocean was a beautiful contrast to Shirin as a love interest, and it was brilliant how he broke down her barriers and had such a deep love for her. Honestly, this might be one of my favourite books of this year. It has absolutely blown me away. Along with all of these compliments, it took me under 2 days to read this beauty. 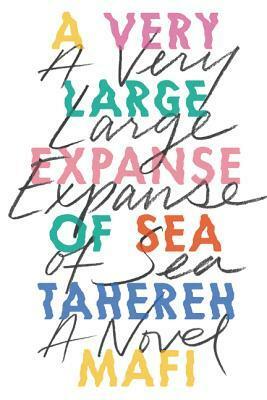 I have only one criticism for this book, which is that I wish Shirin’s parents would have found out about Ocean. I loved the relationship Shirin had with her family, and it would have been such an interesting scene to read about. This book broke my heart a thousand times over, and glued it back together with strings of hope as strong and as bright as the stars. Thank you so much Sofii!❤️ Ah it was brilliant! I definitely need to check this out! I’ve seen a couple bloggers post about books with Jewish protagonists that focus on religion in the plot as well. I hope the discussion of religion is a trend that catches and becomes normal in YA! Definitely! I wish it was a bigger thing in YA too, I’d love to read more about religion.